Macy’s same store sales weren’t good enough to keep its momentum going. The department store has been one of the hottest stocks on Wall Street lately. Its shares have more than doubled in the past 12 months. But the stock deflated like a balloon at the end of the Macy’s Thanksgiving parade and plummeted nearly 13% in late morning trading after the company reported same store sales that grew less than 2%. Other retailer stocks, like JCPenney, Nordstrom, and Kohl’s, all fell sharply on Wednesday. “We are still of the view that Macy’s is a long way from being back to full health. The sales numbers are strengthening, but they are doing so off the back of a very strong consumer economy, and it remains the case that Macy’s growth is below that of the retail market,” said Neil Saunders, managing director of GlobalData Retail, in a report. It’s true that consumers are spending. On Wednesday, the government reported a 5.1% annual increase in retail sales figures for July — excluding gasoline sales. That report showed department store sales up just 0.3% from a year ago. Home Depot (HD) and Coach-owner Tapestry (TPR) also posted strong earnings. Despite its flat same store sales, there is good news for Macy’s. It reported earnings and revenue that topped forecasts and raised its outlook. Macy’s has staged a big comeback under CEO Jeff Gennette. It’s closed some stores, managed a leaner inventory and increased its focus on digital commerce. That’s helped Macy’s as it takes on Amazon (AMZN) and Walmart (WMT). 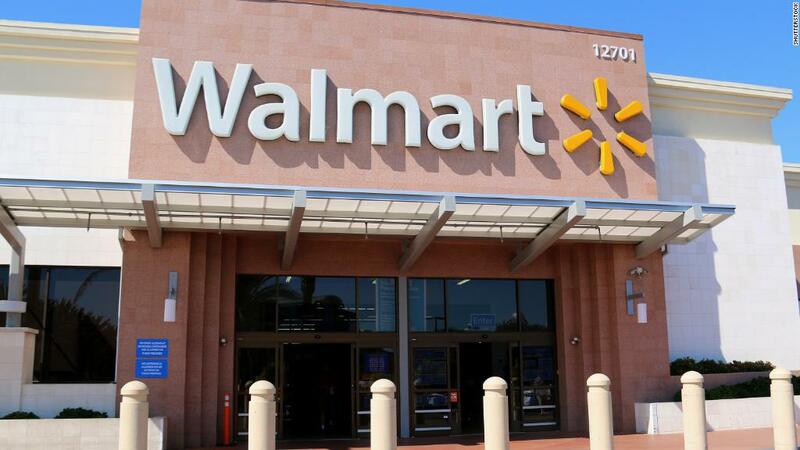 Walmart will report its latest results Thursday. Gennette said in the company’s earnings release that all of Macy’s major brands — including Bloomingdale’s and makeup chain Bluemercury — performed well. “The combination of healthy stores, robust e-commerce and a great mobile experience is Macy’s recipe for success,” Gennette said. “We also continue to be disciplined with inventory management, which allows us to give our customers more fashion and freshness,” he added. That’s given profits a boost. Earnings were up more than 50% in the second quarter.